Fuelling bodies, minds and souls of friends and families, the kitchen is considered the heart of the home. Being the hub, a lot of activities take place in this area and that is why it is important to consider its look, feel and function when doing a kitchen makeover. If you’re looking to achieve an efficient and elegant kitchen, here are some common kitchen layout mistakes to avoid. Workflow is an important factor in the kitchen and any design that ignores the kitchen triangle may cause a problem. The kitchen triangle connects the three areas of greatest activity – the sink, stove and refrigerator. The work triangle’s purpose is to make all major workstations within easy reach for the cook, but still has enough space around the other areas of your kitchen. Particularly when the overall size of the area you’re working with is limited, one common layout mistake is not including enough storage. 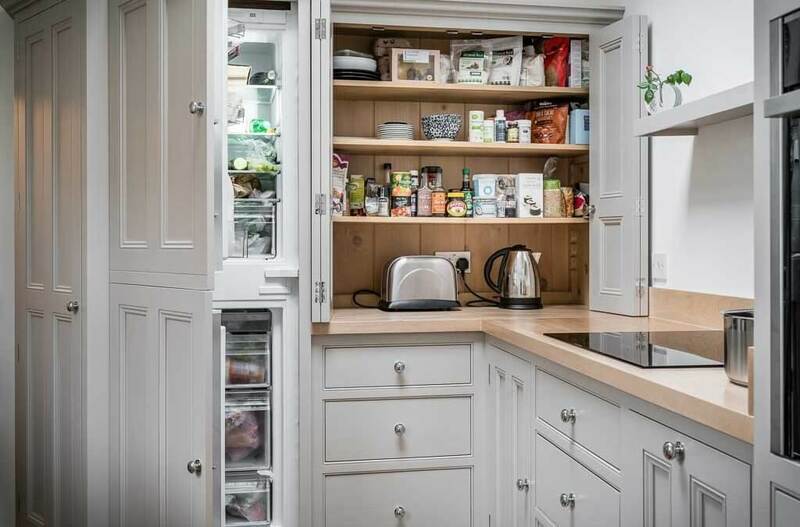 To avoid this, adequate planning and using a kitchen company that can provide bespoke cabinet sizes is vital. If you have a small kitchen, consider installing long upper cabinets. You may also install cabinets over the refrigerator for large or seasonal kitchen items. It is important to have proper ventilation in the kitchen to address the problems of grease, smoke and odours. Inexpensive cooker or range hoods just circulate stale air while a good ventilation improves air quality and room cleanliness. Getting a reliable hood will certainly be a smart investment for your kitchen. Aiming to spend less for a kitchen renovation is also a common mistake as it can actually end up costing you more money, time and energy. Note that kitchen design is a complicated endeavour, which is why it is advisable to get professional designers. Aside from making you feel at ease, reputable kitchen companies, like Hill Farm Furniture, will also provide you with the reassurance that your space will be used effectively. If you are looking to build a perfect kitchen for your home, Hill Farm Furniture is your best choice. With 30 years’ experience, we can help you create a bespoke kitchen that suits your personal taste and lifestyle. Call us on 01636 626 063 or email us at enquiries@hillfarmfurniture.co.uk to speak with one of our friendly experts today.